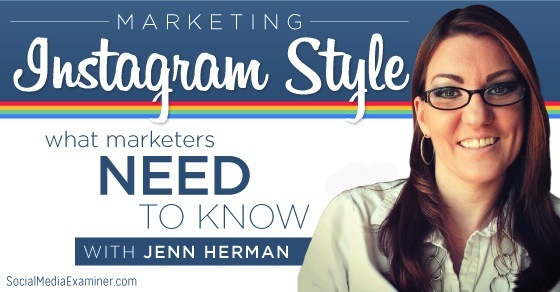 To learn how Instagram can help you engage your audience, I interview Jenn Herman for this episode of the Social Media Marketing podcast. Here are some of the things you’ll discover in this show. Jenn explains how a lot of people use Instagram for personal communication. Many people believe that it’s a platform for selfies and pictures of food. However, Instagram is much more than that and goes a lot deeper. Instagram is not just for personal use. It’s a great platform for businesses too. The marketing aspect is so much stronger now, and will only continue to grow. So far this year, the main buzzword has been visual marketing, with Facebook and Twitter embracing visual content. Not only is Instagram a visual platform, it also gives you the capacity to create visual content for other sites. With the Instagram tools available, you can create fun artwork to use on your blog, website, Facebook and Twitter. It’s very useful for cross-promoting. There are so many fun filters to choose from on Instagram. Right now, 65% of the world’s top brands use Instagram and Jenn says the number continues to grow. There are 200 million monthly active users on Instagram, 70% of which log in daily. This is a huge base of people for marketers to reach. No matter who your target audience is, some of them will use the platform. You’ll hear why you can reach people more clearly through Instagram than you can with any other platform. As a marketer, you should aim to create original images for Instagram. There are many different ways to incorporate your products and services into an image to make it look more native and get better engagement. Listen to the show to find out what our 2014 Social Media Marketing Industry Report revealed about visual marketing. 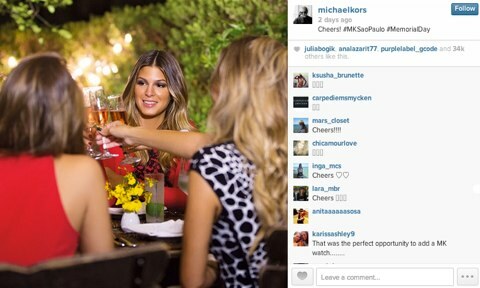 The first brand example that Jenn talks about is fashion designer Michael Kors. The way they do product placement on Instagram is amazing. Michael Kors is great at product placement. The images they create for their fans are behind the scenes at fashion shows, photo shoots and great shots of their products. These types of images can help you to connect with your audience. Although Jenn loves the images, she says it’s their lack of engagement that lets them down. Instagram is a highly engaged and active environment. Jenn advises marketers to be aware of this, and make sure that you’re responsive to your followers. Listen to the show to hear the type of images we used to create some buzz prior to Social Media Marketing World this year. Jenn states that engagement is considerably higher on Instagram than it is on Facebook, Twitter and Google+. 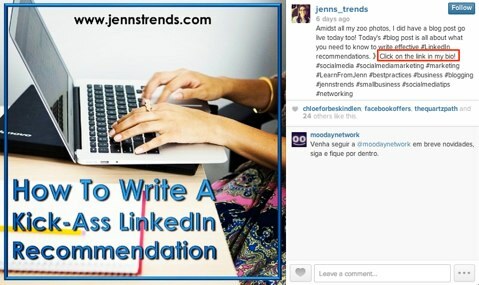 When Jenn tests her blog posts on all of the different platforms, Instagram almost always comes out ahead. One way to create engagement on Instagram is to ask a question in the caption. This encourages your readers to start or join the conversation. When they start to respond, you receive a trail of comments. To respond to somebody, you have make sure that you @mention them, otherwise they won’t get a notification. Make sure you include an @mention when you reply to a comment. If you receive a lot of comments, it’s hard to reply to every one, but you should at least respond to a few. This is what Michael Kors should do with their followers. They have hundreds of comments on each of their images from people saying they love their products, but don’t reply back to any. None of the comments are from the brand. You’ll hear how you can respond in general to your followers to acknowledge that you’re listening to them. You need to take the time to respond to your audience because the people who love your products are likely to become your brand advocates. General Electric is another great example of a brand that uses Instagram well. They share sneak peeks, engage well and take people on tours around their facility via Instagram. You probably wouldn’t expect a company like this to use social media, but they’re always top of the list and are very active with their audience. 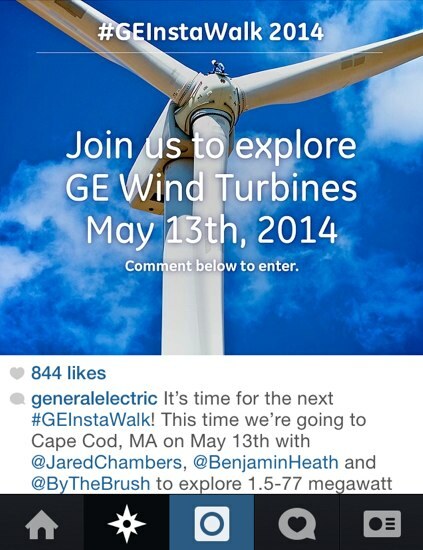 General Electric also provides contests on Instagram for followers. You’ll discover how you can run successful contests on Instagram and the benefits you gain from them as a business. Although Instagram doesn’t allow you to repost somebody’s content, there are third-party apps you can use such as Regram and Repost. These apps allow you to repost an image and they lay a watermark over it to give original attribution. You can then @mention people to let them know that you have showcased their image. Listen to the show to find out the best type of prizes you can give away. Jenn explains that the only place where you can put an active hyperlink on Instagram is in your bio. You can only include one hyperlink and that’s in your bio. With this being the only option right now, you have to get creative with calls to action within the images you create and your captions. When Jenn has a new blog post, she creates her own blog post images in a square format specifically for Instagram. Within that image she includes a caption that explains what the post is about and then clearly states, “Click on the link in my bio.” This takes them through to the homepage of her website. You can leave a call to action in your caption. The link you provide in your bio is the one that you want to drive people to. You want to make it easy for them once they arrive at that specific page. Although you have to work hard to get traffic, the upside is that if people have gone all the way through to your landing page, they are more than likely ready to convert. The quality of traffic you get is much higher than any other social media platform. Listen to the show to hear why simple links work best. Jenn says that the most important thing is the URL in your profile. It has to be active so people can click on it. Whether it’s your business name or your name, it has to be one that people recognize. A little trick that Jenn likes to use is to put a keyword in your name. 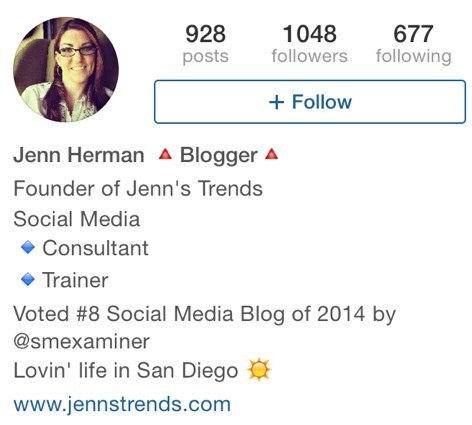 Jenn has included “Blogger” in her name, so that when people search for “blogger” or “blog” on Instagram, her name will show up in the search engine result. Include a keyword in your bio name. The only searchable items are your username and your name. That’s why you have to make sure they’re relevant and people will recognize them. Listen to the show to find out how many characters you can have in your bio. Jenn says that the only platform she likes to use hashtags on is Instagram, and that’s because they work. They can make a huge difference to the number of likes you receive on a post. With this in mind, you need to choose hashtags that are in a category relevant to your post or your business. For example, Jenn uses #socialmedia and #socialmediamarketing, as they relate to her industry and niche. The hashtags she uses that relate to her content are #blog and #blogging. 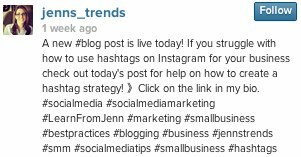 Instagram will allow you to use up to 30 hashtags per post, although Jenn recommends that you don’t use this many. Jenn doesn’t go overboard on the use of hashtags. You’ll hear how you can discover what hashtags are popular right now so you can incorporate some into your post. Although popular hashtags are great for visibility, you also want to mix in some that are low popularity. Listen to the show to find out why the use of hashtags is one of the best ways to get new followers. Jenn explains that traditional Instagram users don’t tend to like images that people create with text over the top. A lot of people create these type of images with Canva or PicMonkey. Instagram users prefer to see native photos. However, as more people start to use memes and inspirational quotes, maybe more people will start to accept them on the platform. Jenn uses word-based images to advertise her latest blog posts. Jenn invites marketers to get more creative with images. You’ll hear ideas you can apply to your images to make them more native and still include text within them. Canva offers a pre-formatted square that you can use for Instagram, and some of their templates allow you to make things look more organic and less like a meme. 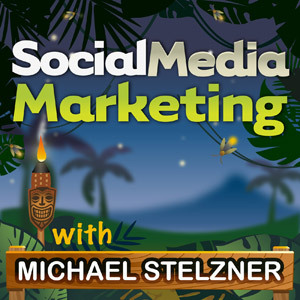 Listen to the show to find out how to cross-promote your Instagram images to Facebook. Jenn says that when Instagram Direct first came out, a lot of people were hesitant about it and weren’t really sure how to embrace it. Instagram Direct is a direct message connection through Instagram. You can invite or speak to up to 15 other Instagram users at a time. There are no restrictions on whom you invite. They don’t even have to be your followers—you just need to know their username. It’s an opportunity to take your conversation off of the public forum. You can use it to reach individuals or groups of employees and it’s also great when you have to deal with customer service. When you start an Instagram Direct message, you have to use a photo or a video. It can’t just be text. You can then share it to the people you have invited. Once the image or video has been shared, you can continue with text. You can’t add any more photos or videos. These would have to be shared in a new message. Listen to the show to find out how you can use Instagram Direct for promotions and VIP members. 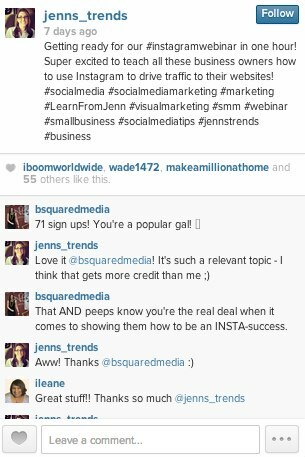 The two tools that Jenn recommends and uses herself are HootSuite and Iconosquare (previously known as Statigram). With HootSuite, you can actually have an Instagram tab on your dashboard. However, it’s considered an app. You can like, comment and see your feed from Instagram within your dashboard. You’ll hear Jenn explain why this tool is great if you manage 3 or 4 Instagram accounts. Iconosquare is all about analytics. It tells you everything you need to know about your Instagram account. For example, the best times of the day to post, when you post most often, what gets the most engagement and who’s following you. Iconosquare provides many analytics for your Instagram account. This also works within the dashboard and allows you to like, comment, follow and unfollow. Neither HootSuite nor Iconosquare allow you to upload photos or schedule posts. Check out the full podcast episode with Jenn Herman. Listen to the show to discover why you should be wary of any app that allows you to post outside of Instagram or schedule posts. I’ve recently discovered a really cool new website called Thunderclap. If you have a cause or are launching something in particular, this site allows you to have a bunch of your fans and followers come together and help you make a big noise all at the same time. Watch their video below for a great demonstration. The concept is similar to KickStarter, except it’s for launches, events or causes. I have even seen podcasters use this to help them get the word out about their launch. I’ve participated in a Thunderclap and it’s very easy. You visit the website and say that you want to participate. It will then ask you if you want to use Twitter. Once you confirm this option, you have to give authorization. On that specific day, it will put an automatic tweet out along with everybody else who is behind the cause, launch, etc. Here’s an example of a ThunderClap campaign I am currently running. I think it’s a really cool concept and I recommend that you check it out. Connect with Jenn Herman on her website. 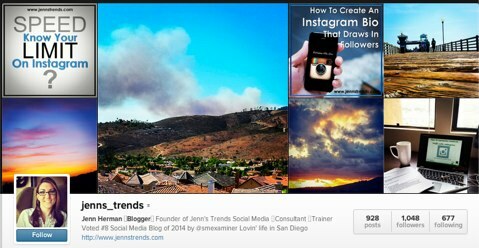 Check out Jenn’s ebook, The Ultimate Beginner’s Guide to Instagram. 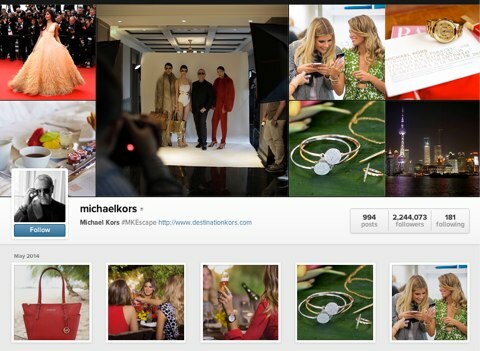 Take a look at Michael Kors and General Electric on Instagram to see what types of images they use. Try Regram and Repost if you want to repost an Instagram image. 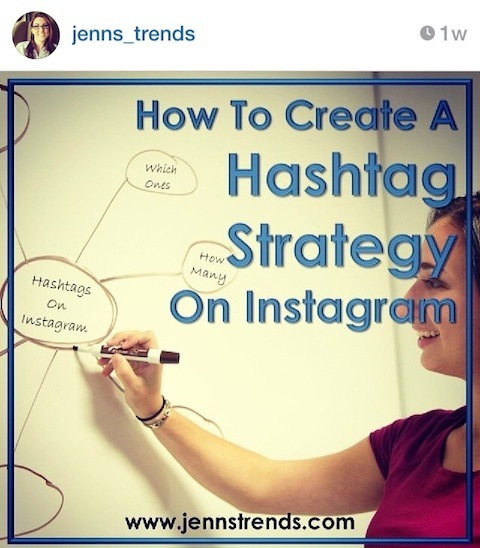 Read Jenn’s articles, How to Create an Instagram Bio That Draws in Followers and How to Create a Hashtag Strategy on Instagram. Create images on Canva and PicMonkey for Instagram. Discover more about Instagram Direct. Use HootSuite and Iconosquare for desktop management of Instagram. Check out Thunderclap if you have a cause or are ready to launch. Get the 2014 Social Media Marketing Industry Report. What do you think? What are your thoughts on marketing Instagram-style? Please leave your comments below.